Good nutrition is the foundation for a healthy horse, and it certainly has the capacity to influence hoof health. However, hoof health also depends on quality hoof care, a clean, dry environment, and good conformation. Because the hoof is a relatively fast-growing tissue similar to hair, any nutritional deficiencies may first be detected by observing a change in hoof quality. 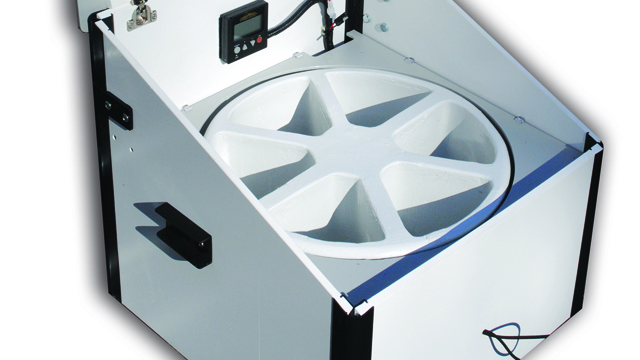 Thus, ensuring your horse’s nutrient requirements are met is critical to maximize hoof health. 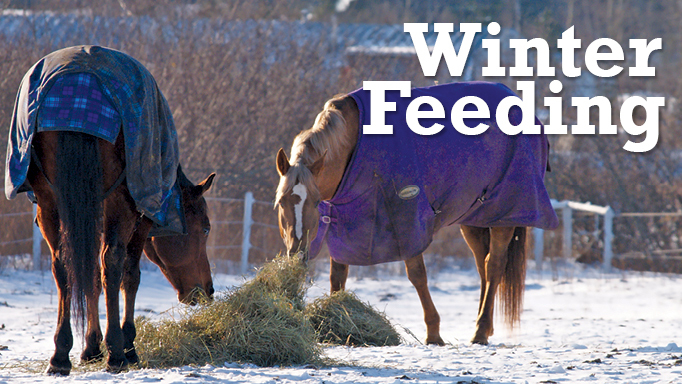 However, if your horse is fed good quality hay or pasture and a commercially-available grain mix or a vitamin-mineral supplement, nutritional deficiencies are rare. 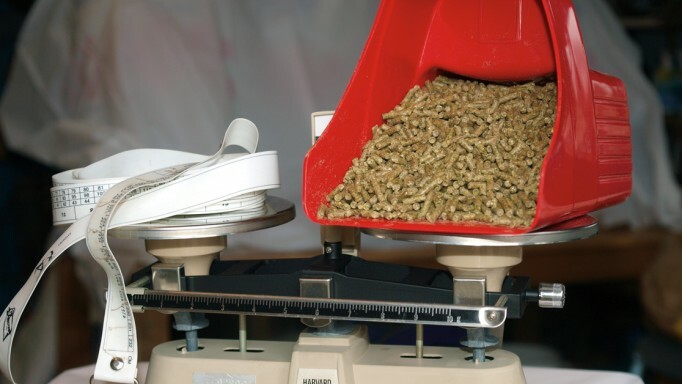 It is relatively easy to determine how your horse’s diet meets his needs, by working with a nutritionist to calculate all of the nutrients provided for in the hay (requires a weight estimate of hay intake, plus some indication of hay quality, ideally a hay analysis), grain and any supplements you are feeding, along with information about your horse – body weight estimate, work level, etc. 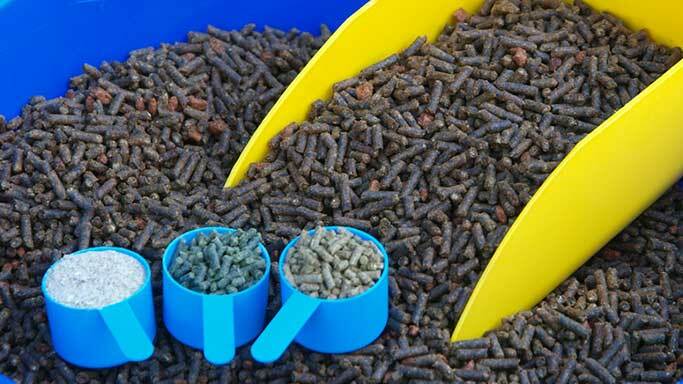 After ensuring all basic nutrients are met, if your horse still has bad feet, there are a few things that an owner can feed to improve hoof quality. Biotin (one of the B vitamins) has been shown to improve hoof quality in published research studies. Offering 20mg (or anywhere from 10-30 mg) per day may help your horse’s hooves, although it should be noted that it is most efficacious in poor hooves, rather than simply improving already healthy hooves. Also, any improvements will take some time for the entire hoof wall to grow out. Supplementing with biotin is relatively safe, because it is a water-soluble vitamin, and if the horse doesn’t need (or use) the biotin, it will simply be excreted in the urine. Commercially-available hoof supplements typically include biotin, but also contain other nutrients that are components of hoof tissue, such as the amino acids methionine, cystine and threonine, and minerals such as zinc, copper and manganese. Such nutrients are components of keratin, the major protein found in the hoof, and are therefore important, but research regarding the supplementation of many of these nutrients has conflicting results; some studies suggest they are efficacious, while others do not. There is some evidence that organic sources of minerals (those that are bound to proteins, such as zinc-methionine) are more bioavailable to the horse, but more research is required. There is some concern that if you over-supplement some of these nutrients – particularly the minerals – they may negatively influence the absorption and use of other minerals. If your horse has poor hooves, commercial supplements may help, but you might consider supplementing first with straight biotin to save money and decrease the risk of over-supplementation, particularly if you already feed a quality diet. 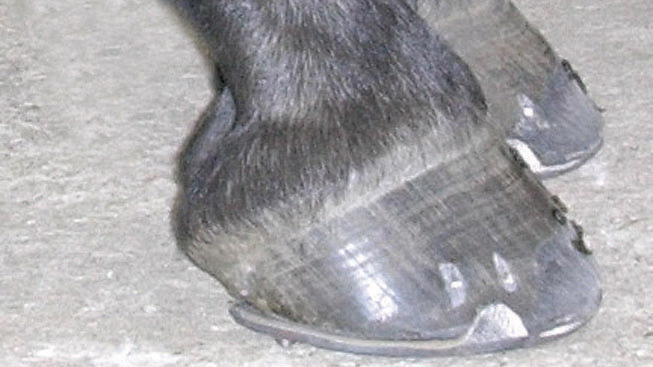 Another important consideration for hoof health is the horse’s body weight. Hooves function to absorb concussion from the horse’s body weight, and therefore if your horse is carrying extra body weight as fat, his hooves may be burdened. Furthermore, adipose tissue is no longer considered just a storage source for energy, but it is now recognized as an organ that has the ability to produce hormones and inflammatory proteins. An obese horse is believed to be in a state of inflammation, and that may negatively affect blood flow through the vascularization of the hoof (and potentially cause laminitis). Work with a nutritionist or your veterinarian to learn about body condition scoring your horse to assess how much fat coverage he has. From there, you can work with your nutritionist to put your horse on a diet to decrease his fat coverage if needed. Despite the best nutrition, high-quality supplements and a good body condition score, some horses naturally have poor hooves. Part of this may be due to conformation, but also genetics may result in weak, brittle or crumbly hooves. Regular farrier care, input from your nutritionist and your veterinarian, and keeping and working your horse in clean, dry environment will help to keep his hooves at their best.